Some time ago, I wrote to you about the song "Happy Birthday" and the law suit over whether restaurants and film makers must still pay royalties if they sing it in public. Has anything new happened? Funny you should ask! That law suit is now about two years in, and just this week, and right about as federal District Judge George King (before whom the Doc has a case pending - full disclosure) was about to hold a hearing about whether Patty Hill (who wrote the words, but not the music) abandoned her copyright in the lyrics, the plaintiffs filed a motion containing some documents that they got from the copyright owners, Warner/Chappell Music in discovery (a year late, they say, after the court deadline, but hey, better late than never...) In brief (get it? ), the motion claims that the newly produced documents prove that the words to the song are in the public domain, and have been for a long time. In 1927, the Cable Company produced the 15th edition of a children's song book called "The Everyday Song Book". It included "Birthday Song," which was sung to a melody for "Good Morning To You," a song dating back to the 19th century, combined with Patty Hill's lyrics for "Happy Birthday." That song appeared in editions dating back to 1922, which, the motion says, "proves conclusively" that "Happy Birthday" entered the public domain no later than 1922. The song was printed without a copyright notice unlike other songs in the book. The lack of any copyright notice is critical, because under the 1909 Copyright Act which was then the law, a published work had to include the word "Copyright," the abbreviation "Copr., " or the "©" symbol, or, the motion says, "the published work was interjected irrevocably into the public domain." So, you may ask, what does this mean for every mid-market restaurant that sings bogus "Happy Birthday" songs? Nothing yet, but maybe, some day soon, they, and the rest of us, may be able to sing "Happy Birthday to You", free of the copyright royalties that have been collected since 1922 by big, bad music publishers. More importantly, some day soon, a bunch of lawyers may collect a gigantic legal fee, while everyone who's ever paid for the right to sing "Happy Birthday" will likely get, as the Doc's grandmother used to say, "bupkis." In our last newsletter we wrote about Taylor Swift's open letter to Apple, Inc. and the ensuing kerfuffle over Taylor Swift's hypocrisy for the way she treated photographers covering her concerts. Just to recap, Swift's letter to Apple scolded the company for not compensating artists during its customers' 3-month free Apple Music trial. Apple, you will recall, backed off. But then photographers lashed back. One photographer, Jason Sheldon, took Swift to task over her restrictive "Concert Photo Authorization Form," which granted Swift the right to exploit the photographer's images forever without compensation to the photographer. Another photographer pointed out that her most recent authorization form permitted her company to destroy the photographer's equipment as punishment for breaching the agreement. Since our original article, the issue resonated with some media outlets. The Irish Times refused to print Taylor Swift photos. Deputy picture editor [of the Irish Times] Brenda Fitzsimons wrote that the terms and conditions are "exceedingly restrictive" and "not feasible for a working newspaper and website." After reading the contract, the paper said that it would rather not print any photos. Likewise, several newspapers in Montreal: the Montréal Gazette, La Presse, Le Journal de Montreál, Le Devoir and Métro did not send photographers to Swift's concert. Interestingly, the New York Times' photographer was not subject to the same restrictive photo agreement and one report indicated that the Washington Post was able to amend Swift's agreement. Big news organizations have the clout whereas individual photographers have none. When the National Press Photographers Association (NPPA) got into the act it was Taylor Swift's turn to capitulate. At the same time the NPPA began an independent review of Swift's agreement, it was approached by her public relations team who told them they were open to discussing the agreement's terms. Together with the NPPA and various media groups, the parties revised and released a new photography guidelines agreement. The new contract licenses back some additional rights to photographers upon written permission and dispenses with the equipment destruction remedy. Does it address the concerns raised by photographers? Well, Jason Sheldon, who wrote the original open letter to Taylor Swift says it's a good start but falls short. His analysis is beyond the scope of this article but worth reading if you would like to learn more about the profession of photographing entertainers and the practical considerations that a photographer confronts when signing boilerplate contracts. In Alice v CLS Bank, the Supreme Court determined that an abstract business method implemented by software entirely within a computer was not 'patentable subject matter,' meaning that the invention could not be protected by patent even though it met all of the requirements for a patent; namely, the process was novel, unobvious and had utility. The Supreme Court in Alice created a test to determine when an otherwise deserving invention is not 'patentable subject matter' - (1) Are the claims of the patent directed to an abstract idea, law of nature or natural phenomenon, and, if so (2) whether the claim elements "transform the nature of the claim into a patent-eligible application." If a claim meets (1) and fails (2), then the claim is drawn to unpatentable subject matter and is unenforceable. This test sounds a bit vague, doesn't it? That sound you hear is the inventors of the world scratching their collective head in puzzlement. In the year since Alice was decided, the lower courts have interpreted Alice as severely limiting software patents and have extended the principles of Alice beyond business-method patents and beyond purely computerized processes to inventions where computers are incorporated into a physical apparatus. The most recent example is Thales Visionix v USA and Elbit Systems. Thales sued the Federal government for infringement of Thales' patent for a motion tracking system before the Court of Claims, which hears patent infringement cases against the Federal government. 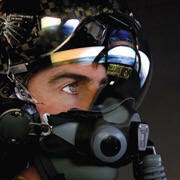 Thales alleged that the Federal government and its contractors incorporated Thale's patented system into the helmet tracking system of the F-35 Joint Strike Fighter. Applying the first half of the Alice test, the Court concluded that the Thales patent claims at heart were addressed to a mathematical formula to calculate relative motion and hence were abstract. The Thales patent claims included physical elements of a tracking system, including inertial motion sensors and a receiver to detect signals from the motion sensors. The Court concluded that this additional machinery was not enough to 'transform the nature of the claim' and that the Thales patent claims were unpatentable. What does Thales mean for the patent owner or applicant? It means that the gaps in Alice and the other Supreme Court decisions on patentable subject matter are slowly being filled in and that any invention for which a computer is a central element runs the risk of being declared invalid and unenforceable.